Dr. Goutam Chakraborty, SAS Professor of Marketing Analytics and Director of MS in Business Analytics and Data Science, will serve as the primary contact faculty for this program. He has a B.Tech (Honors) in Mechanical Engineering from IIT (India), a PGCGM from IIM (India), a M.S in statistics and a Ph. D. in marketing from University of Iowa. His teaching and research interests are in the areas of descriptive and predictive analytics, text analytics, web analytics, data mining, data base marketing and marketing research. Dr. Tom Brown, Noble Foundation Chair in Marketing Strategy and Professor of Marketing, received his MBA from Oklahoma State University and Ph.D. from University of Wisconsin (Madison). His teaching and research interests are in the areas of marketing research, causes and effects of corporate associations and the customer orientation of service workers. Dr. Venu Gopal Lolla, is an adjunct lecturer in Marketing and Software Development Staff Engineer at Dell. He earned his B.Tech in Mechanical Engineering from GVP college in India, MS and PhD in Mechanical Engineering from OSU. At OSU, he teaches using open-source software, R for analytics applications. Dr. Miriam McGaugh, is a Clinical Assistant Professor in Marketing. She earned her BS in Biology from Oklahoma City University, an MS in Epidemiology from the University of Oklahoma Health Science Center, and her PhD in Educational Psychology at OSU. Dr. McGaugh teaches Base and Advanced SAS Programming. In addition, she leads Community Epidemiology & Evaluation at the Oklahoma State Department of Health. David C. Ogden, is an adjunct lecturer in Marketing and Senior Manager, Analytical Consulting, SAS Institute, Inc. David assists SAS customers with business challenges focusing on a variety of data mining and predictive modeling applications, including: strategic cost & revenue management, marketing optimization, scenario analysis, and demand forecasting. He earned his BS and MS in Mathematics and Statistics from Wichita State University. At OSU, he teaches analytical models for customer lifetime value. Jerry Rackley brings over 30 years of professional and consulting experience to his role as Executive-in-Residence in Marketing. He is the author of Marketing Analytics Roadmap: Metrics, Methods, and Tools. He earned his Bachelor of Science from Oklahoma State University in Computer Science. At OSU, he teaches business marketing, services marketing, digital marketing and consulting in marketing analytics. Dr. Asish Satpathy, is an adjunct lecturer in Marketing. He earned his PhD in Experimental Particle Physics from KEK, Japan and MBA in Strategy and Marketing from Univ. of California, Irvine. Asish is an entrepreneur who brings nearly 16 years of demonstrated success in data modeling, executing and managing mission critical data analytics projects in Europe (CERN), Japan (KEK) and US. (Stanford and UC, Riverside). 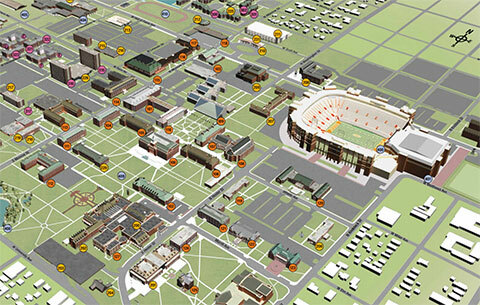 At OSU, he teaches applications of GIS for marketing analytics. Atul Thatte, is an adjunct lecturer in Marketing and Director of Advanced Analytics at TXU Energy. At TXU Energy, Atul leads a team of seasoned analytics professionals to shape TXU’s analytics strategy and provide a competitive advantage through measurable applications of mathematical models. He earned his BS in Mathematics from University of Mumbai, an MS in Operations Research from Southern Methodist University. At OSU, he teaches marketing optimization.